Top 10 Punjabi Sad Songs Nov 2018 – Listen best Punjabi Heart Touching songs with video and lyrics of all Latest hit new Punjabi emotional music track. Pagal is a Punjabi Album Song. It is starring Diljit Dosanjh and Amber Thomason. Director of this Punjabi song is Navjit Buttar. Diljit Dosanjh is the Singer of this new Punjabi sad Song. Lyrics have been written by Babbu, while the Music is composed by Goldboy. Teri Khaamiyan is a Punjabi Sad Song. The Star cast of the new video is Akhil and Wamiqa Gabbi. Akhil is the Singer. Jaani is lyricist of this Punjabi heart touching song. B Praak is the Music director. Dholna song is from the Punjabi movie Qismat. The Film is directed by Jagdeep Sidhu. It is featuring Ammy Virk and Sargun Mehta. The Singer and music composer is B Praak. Jaani has written the lyrics. Yaar Chadeya Song is an album soundtrack. The Video is directed by Navjit Buttar. It is starring Sharry Mann and he is also the Singer. Snappy is music director of this sad song. Lyricist is Rav Hanjra. Baarish Lyrics by Bilal Saeed and he is also the Singer and music composer of this song. This New Punjabi song is also featuring Bilal Saeed. Dil Nahion Torhida Song is a latest Punjabi Sad Song. The Star cast of this video song is Satinder Sartaaj and KaiJah. Satinder Sartaaj is the Singer and lyricist of this Punjabi album song. The Music is composed by Jatinder Shah. Tere Naal Lyrics has been written by Tejinder Harry. The Star cast of this emotional video is Daoud and Frishta Sana. Director of this album video is Hitesh Jayee. Daoud is the Singer and music director. Kalli Song is Punjabi Album Song. It is featuring Gurpreet Chattha and Mahi Sharma. Director of this video is Team Last Page. Gurpreet Chattha is the Singer. Lvy Anshu is the lyricist. The Music is composed by Beat Boi Deep. Pyar Nahi Ghatda is a Punjabi emotional Song. This wonderful song is sung by Sippy Gill. Maninder Kailey has written the lyrics. The Music director is Desi Routz. Roni Aa Lyrics has been written by Sukhi Sidhu. It is starring Kamal Khan and Pav Dharia. Director of this video is Rupan Bal. Kamal Khan is the Singer of this Punjabi Song. Pav Dharia is the Music Composer. 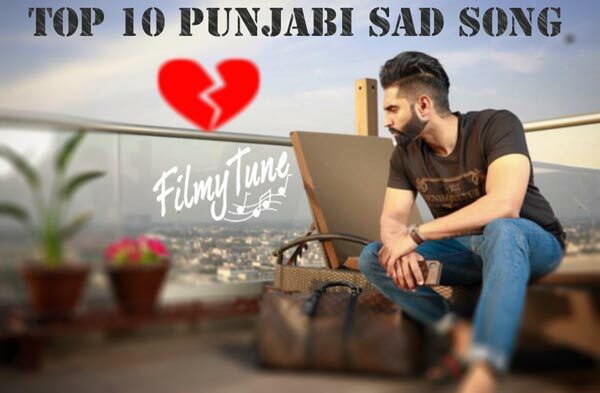 Our experts have created this Top 10 Punjabi Sad Songs list on the bases of users response and we are also very thank full to all our users who are responding on site comment and social media platform. Kindly share your views to improve Songs list. We are trying to serve you better.